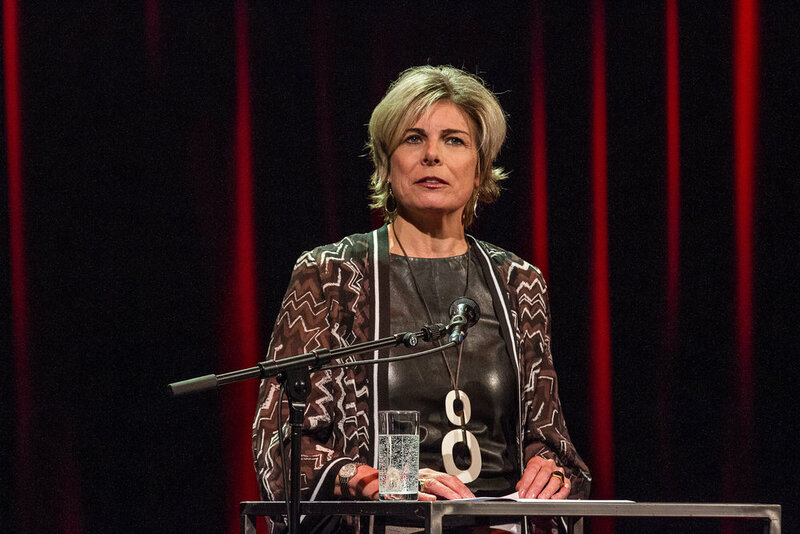 I am humbled by the four laureates of this year’s Princess Margriet Award for Culture. Humbled by their courage, by their determination to use critical thinking and creativity to connect individuals and groups in society who would otherwise not connect. It is their thinking, words, music and actions that we celebrate today on Europe Day here in Amsterdam. Standing on a podium where some of the greatest artists of the world have played, I realise how music is so much more powerful than words to convey emotions… And I am well aware that standing here in freedom is not a given for everyone… So, while feeling slightly uncomfortable by these restraints, allow me to briefly reflect on what I feel the laureates share: hope and conversation. In Europe too, many people feel hopeless - confused about what’s happening, both far away and close-by. Their sentiments should be taken seriously, listened to and understood. It is too easy to say, of course, that cultural expressions alone can take away these sentiments of hopelessness and disconnect. But as the work of the four laureates and many other cultural change-makers across Europe show, cultural expressions can visualize and discuss sentiments of fear and despair and differences in opinions and backgrounds in ways that regular public discourses cannot. By using the power of creativity and imagination, we step out of our own sentiments. By discussing sentiments of hopelessness, we can also discern where those sentiments originate from. While ‘Europe’ or other people are often blamed, the real source of unhappiness often lies within. That brings me to the other common theme: the value of conversation. All four laureates stimulate, facilitate or generate conversation. Conversation seems something so basically, human – but is it? As it so happens, I am deeply engrossed in a book called Reclaiming Conversation by Sherry Turkle. She makes a compelling case that in the age of digital technology, real conversation is under threat. And research shows that without conversation, we are less empathetic, less connected, less creative and fulfilled. We need to invest in free-flowing, open conversation that takes unexpected directions, where people have the time to develop and complete their own thoughts, not follow those of others. It requires conversations that requires sustained attention, quite different from the kind where we drop in and out as we wish to. There are interesting lessons to be learned from the way people discuss pressing societal issues such as climate change, migration, refugees, inequalities in society: all issues for which we need empathy, nuance, flexibility, in-depth understanding of the consequences of our ideas and actions… Conversation is an important basis for this. So, we need spaces where people feel they can speak freely while also stepping out of their comfort zone, let go of their interest-driven and institutional thinking and listen to insights from those they never thought could advise them. We need spaces where people are surprised, both by others and themselves - by who they meet, what they share and what they can create together within a seemingly random group of people. We need independent spaces for people from different parts in society to meet and dialogue. Places where everyone is taken seriously yet where no one takes himself too seriously, connecting through focused conversations as well as meeting through serendipity. This is the type of space that culture creates. And these are the kind of connections that the European Cultural Foundation and our trusted partners, in particular the Prince Bernhard Fund for Culture, makes. Over time, we hope to create a uniquely diverse community of change-makers who find constructive answers for more inclusive, just and sustainable societies in Europe and turn unconventional thinking into future-proof actions. ECF has seen this reflected in the Idea Camps that bring together budding cultural change-makers from all over Europe. By holding ‘missing conversations’, we hope that people dare to step over their own shadow and freely share concerns and dilemmas. But also, share big dreams, half-ideas and random thoughts to identify new opportunities. The four laureates facilitate dialogues based on mutual trust, peel off problems to their core. Our time needs heroes like the laureates we honour here today. Their courage and perseverance show us that as an individual, you can make a difference. It’s like throwing a stone in the middle of a pond: at first, the movement is only in the centre but very soon it ripples out to the edges. Marina and Luc dared to throw those first stones in the pond, triggering a reaction from others. That first step is the basis of the communities they have helped to bring together. The stones that Asli and Navid throw draw people’s attention to the pond and the society reflected in it. As writers, they hold a mirror to our lives and show us what it means to be human in today’s Europe. The reflection we see may please us or appal us. How we respond to it defines our society and shapes its future: do we try to change the mirror or the reflection we see? I’ll end with Luc Mishalle’s observation that “you absorb from other people and that’s what makes your personality in the end.” I agree. We all have been shaped by our past, upbringing, the people we meet. I tend to take my inspiration from children and young people. They hold up a mirror of hope. 83% of students who have participated in a placement or exchange in another EU country say that it has given them “Europe-wide perspectives beyond the national horizon”. May you all meet people this afternoon you have not met before and hopefully start working together. Thank you for being with us this afternoon to honour the four formidable laureates of the Princess Margriet Award for Culture.